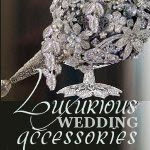 Wedding Etiquette by Luxurious Wedding .com: Wedding Gifts From Invited Guests: Are You Required To Give A Wedding Gift To The Bride & Groom ? Wedding Gifts From Invited Guests: Are You Required To Give A Wedding Gift To The Bride & Groom ? If you are invited to a wedding, the bride and groom consider you to hold a valuable place in their life and want to honor you by including you in this important and personal event. You should consider the wedding invitation to be an outward show of respect and a tribute to you. Depending on the closeness of your relationship with them, you should feel inclined to send a gift to the couple whether or not you are in attendance the day of the nuptials. A wedding gift is more than a symbolic way of saying “Congratulations.” It should be thoughtful, personal and a way for the couple to be reminded of the bond between you and them.